OverviewFade to Black is a third person action adventure and the sequel to Flashback. You play as Conrad B. Hart who wakes up from cryosleep only to be imprisoned by his former adversaries, the morphs, in New Alcatraz. Now you can add videos, screenshots, or other images (cover scans, disc scans, etc.) 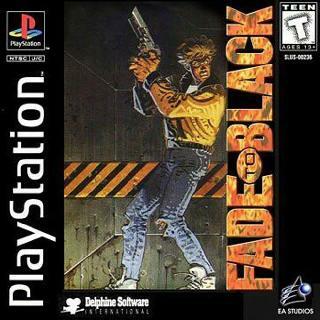 for Fade to Black [NTSC-U] to Emuparadise. Do it now! If you haven't noticed yet, we have a retro game of the day feature (top-right of the screen) wherein we feature a new retro title every single day! Now, you can vote for your favorite games and allow them to have their moment of glory. Click on the button below to nominate Fade to Black [NTSC-U] for Retro Game of the Day.